This book was a pleasure. 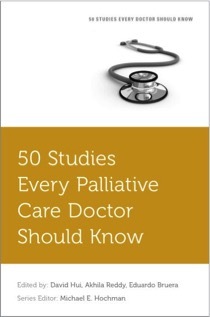 The editors have selected what they consider to be the best 50 studies to do with palliative care — including randomized controlled trials, major prospective observational studies, and a few systematic reviews — and divided them up into four sections: Palliative Care, Symptom Assessment and Management, Psychosocial Aspects of Care and Communication, and End of Life Care and Planning. For each study, there is a clear (but brief) statement about the goals, the methodology (including any criticisms and limitations), what they found, and what it means. For each issue there is also a quick discussion of related articles, and a clinical case to emphasize the clinical applicability. I enjoyed this book because each chapter, which only took a few minutes to read, opened a window on some particular aspect of practising palliative care that automatically led to some reflection and self-assessment of how well you or your unit were doing something. The reviewers are predominantly from the United States, although I note there are also some from South America, Australia, Canada, Italy, Korea, and Japan. This book will be useful to any doctors or nurses studying palliative care, both as an introduction to the evidence base, such as it is, and to some of the questions still to be sorted out. I think that doctors and nurses working in palliative care will enjoy reading this book, and if it leads to reflection about how you do things, all the better. And there is a lot for our social workers in the last two sections. 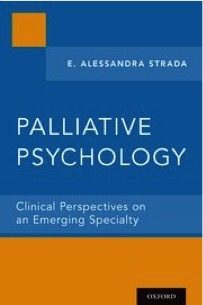 Alessandra Strada is a licensed clinical psychologist who works as a palliative care and hospice consultant in San Francisco, California. 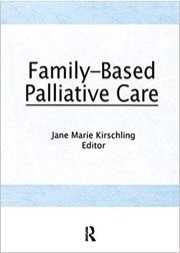 The book is written primarily for psychologists interested in working in palliative care. She says her first goal is to present clinical perspectives on special roles for palliative psychologists in a palliative care team and, secondly, to advocate for the formalization of palliative psychology as its own specialty. The book opens with a general overview of palliative care and palliative psychology. It is then divided into eight chapters following the National Consensus Project domains, covering each of the different aspects of care: structure and process; physical, psychological and psychiatric; social, spiritual and existential; cultural; end-of-life care; and the ethical and legal aspects of care. Each chapter sets out a list of competencies for palliative psychologists: knowledge, skills, and attitudes. The book is, not surprisingly, strongest in the psychological, social, and cultural domains, but I felt that all the chapters were methodically set out and appropriately detailed, yet understandable. 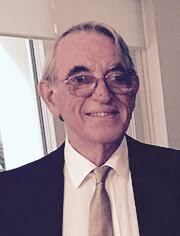 They are interspersed with a range of short case histories to illustrate various issues. Self-care and compassion fatigue are dealt with at the front of the book, which I thought was a welcome change. In her discussions about end-of-life matters, she talks about terminal sedation but seems to avoid physician-assisted suicide, never mind euthanasia. From a psychological point of view, these issues open up a huge can of worms. How do you deal with the patient requesting assisted death? And working in palliative care is not going to protect you — the Belgians say that assisted dying is a natural and integral part of palliative care, and pro-euthanasia groups in Canada are demanding that palliative care services refusing to do MAID (medical assistance in dying) should be publicly named. Anyone who works in palliative care knows that psychological issues are involved in just about everything we do. I would welcome the idea of more psychologists, but there will never be enough, which means that the other members of the team (doctors, nurses, and social workers) need to be a little more skilled in psychological matters than our colleagues in other specialties. And that is what this book provides: palliative care from the viewpoint of psychology. I think it deserves a wider audience than just budding palliative psychologists; anyone with an interest in the psychological aspects of palliative care, or who is responsible for teaching palliative care, will find this book useful and interesting. This book is about grief, real grief. It’s about what it is, what influences the form it takes, and how we can best help the grieving individual. It’s about understanding the process of grief, and respecting its necessity. The opening section provides a good description of what grief is and means. The bulk of the book is divided into five sections, each dealing with a particular type of loss: when a partner dies, when a parent dies, when a sibling dies, when a child dies, and facing your own death. 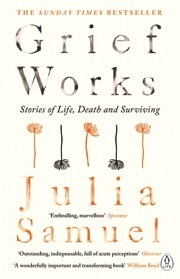 Each section includes the stories of three individuals, followed by Samuel’s reflections on what’s important, what’s perhaps less important, what’s to be expected, and what’s ‘normal.’ The last chapter is, ‘What helps: the work we need to do to help us grieve and survive successfully,’ in which she describes her ‘pillars of strength,’ the things that help carry us through, and how family and friends can help. I have to say that I enjoyed reading the clinical histories; Samuel writes well and her patients come to life, despite all the surrounding sorrow. This is not a textbook but is written for the lay reader. At the same time, it contains a wealth of wisdom and experience about grief and bereavement. If you have a special interest in things to do with grief and bereavement, and particularly if the palliative care service for which you work has an active grief and bereavement program, this book is strongly recommended. Julia Samuel is a grief psychotherapist who works both in private practice and with the U.K. National Health Service at St. Mary’s Hospital in Paddington, Westminster. She is Founder Patron of Child Bereavement UK. After 20-odd years in nursing, 10 of them in hospice nursing, Peg Crawford returned from a holiday to be told that one of her patients had asked that she not return. It sounds as though this book was well underway at the time, but the rebuff inspired her to go on with it. This book is about the essence of hospice nursing and what’s different about it. It’s about looking for the person in the patient, looking for the person in yourself; I was reminded of Dame Cicely’s ‘…we are concerned with persons and we are concerned as persons.’ Crawford is keen on self-observation and self-care. She talks in detail about preparing for a day’s work, the admission procedure, and continuing care, including all the different reactions of patients and their families. It’s about getting involved and how best to deal with conflict, rejection, and criticism. And being with the dying person, and with their family afterward. Crawford says her goals are to spare other nurses some discomfort by learning from her mistakes, as well as her hope for improved patient care. 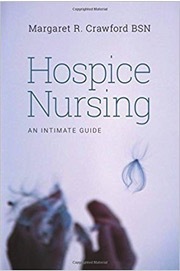 You will not agree with everything she says, but anybody who works in hospice nursing will relate to the problems discussed here, and be the better off for having read it. That probably goes for anyone working in hospice/palliative care, including the administrator who handed out the criticism at the beginning; Crawford doesn’t say a word, but I immediately had visions of a somewhat drab, self-important, office person who really doesn’t have a clue (or care) about all the difficulties out there at the coal face. But what Crawford has done is probably the best way to reply. I have never had anything but admiration for volunteers. If you work in hospice and palliative care, good volunteers are worth their weight in gold. This book is about such volunteering, with snapshots from around the world, describing what it is, how it’s organized, and how it is evolving and changing. 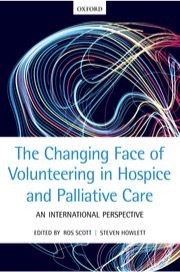 If you run a palliative care volunteer service, or a palliative care service with a volunteer program, you need to read this book. Not only will it give you an in-depth view of where things are at, but also how things are changing in countries from around the world. This is a collection of five studies conducted by hospice nurses, looking at various aspects of caring for patients’ family members. There are some interesting observations on a range of issues and problems. I liked the paper analyzing the sources of stress for family members. The family members identified patient symptoms, interaction with others, and concerns for self; the hospice nurses thought changes in the patient’s mental state was the source of most stress. If my memory serves me correctly, talking about caring for the family was relatively new when this book was first published (The Haworth Press, Inc., 1990). Today, it serves as a reminder of some of the basics, as well as providing something against which you can contemplate your own practices.